Due to the promising mechanical properties of Cu-based shape memory alloys (SMAs), their applications have become essential in many applications. In the present study, the galvanic behaviors of coupled and uncoupled steel bars with Cu–Al–Ni–xCo shape memory alloys were investigated in 3.5% NaCl solution. Thirteen measurement cells were considered for coupled and uncoupled steels and aged/unaged Cu–Al–Ni–xCo shape memory alloys. The electrochemical measurements were carried out three times to ensure the consistency of the corrosion behavior after the samples were immersed in 3.5% NaCl solution. 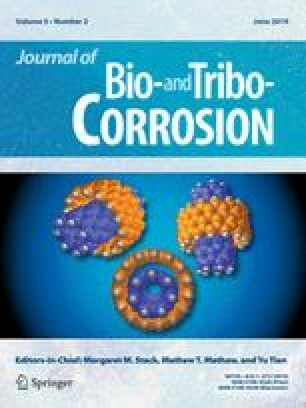 The results revealed that the addition of 1 wt% Cobalt followed by an aging treatment led to an improvement in the corrosion resistance of coupled steel/Cu–Al–Ni–xCo shape memory alloys and a reduction in the corrosion rate by 50% for the steel bars. The authors would like to thank the Ministry of Higher Education of Malaysia and the Universiti Teknologi Malaysia for providing the financial support under the University Research Grant No. Q.J130000.2524.12H60 and research facilities.